Q. What do people say about Daily List Spy? A. 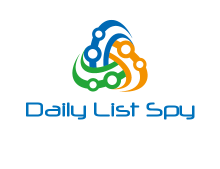 Daily List Spy is brand new. We will add comments here when we get them. Q. How soon do the alerts go out? A. From seconds to at most 1 minute. This is due to processing time required. The system is completely automated with zero human intervention. Everybody gets the alerts at the same time, including us. Q. How much does it cost? A. $44/Month, but that may go up depending. All Rights Reserved: Cabo FTL Systems LC.